Kids and pets both are innocent and are dependent on others. It’s been seen that children who get along well with the pet at an early age, learn to show compassion. 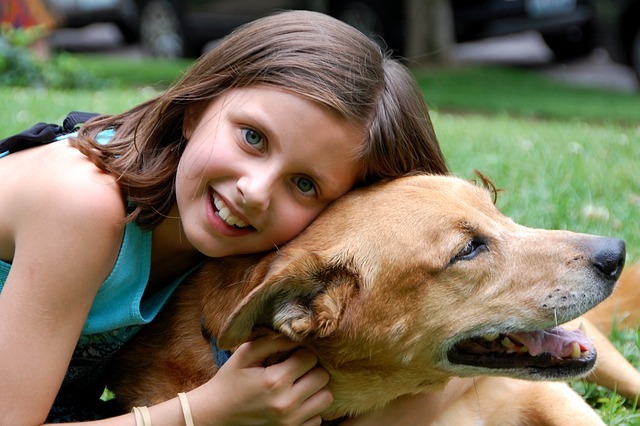 Kids learn a lot from a pet, and this is the reason why kids should grow up with pets. In fact, they both become the best companion as pets are very loyal, which can make a special bond. The crucial thing is, you have to make sure that you do not let your kids do whatever they like to do with the pet. Listed here are some top ways that will help you keep your children and safe together. You might already know that small cutie pies are unconsciously a bit rough with pets. When kids play with pets, there are chances that pet can jump over a child or roughly play can lead to pet snapping at faces or fingers. So, supervising is important, and no matter how well-behaved your pet is, you must not leave your kid alone with a pet. As mentioned above, even if your pet is well-behaved, you have to keep an eye on him. It is vital to invest in extra training to pets especially for being around with kids. Well, the basic thing starts from hands off puppy training pads as pets will get attracted towards the fragrance of these pads, which in turn will help in keeping your home as well as carpet, clean. You must also reward the pets with scrumptious treats for their good behavior. Another essential step is to make your kid learn some rules that they should follow while playing with the pets at home. Do not let your child corner a pet as this behavior may force your pet to bark or bite. Also, you have to tell your kid not to pull the dog’s tail because this will surely put your pet into a defensive mode. It’s been seen that kids jump around the pet in order to get pet’s attention, but this is very stressful as well as annoying to a pet. So, you have to teach your kid about all these rules. Some kids take pets as a playground, and this is not at all good. You have to make your kid understand that they do not get too physical with pets. Many kids ride on the back of pets such as a dog, which is not good. In fact, physical attacks (slapping, kicking, and punching) by a kid on the pet will let the pet bark or bite the child. Make sure you never permit your pet to scratch your kid. Such events can be avoided if you set rules for your pet as well as a kid. Pets are loyal and faithful towards their owner. However, they can become defensive when they are troubled. So, keep these points in mind and make your kid understand them so that they can know how to behave with the pets.